I’m deeply dissatisfied with Photoshop’s inability to show the soft, mysterious violets in this, instead turning it magenta and blue and every color but the ones you get in the real thing. The crows themselves are a dusky, matte black that really pops, the three phases of flight gliding past the clouds in the purple twilight. I’m really happy with how these crows look, almost completely in silhouette with just a little bit of soft detail on the far wings of the outer two, with the one in the center a dark blot on the sky. It probably says something about me that I like dark blots on the sky. 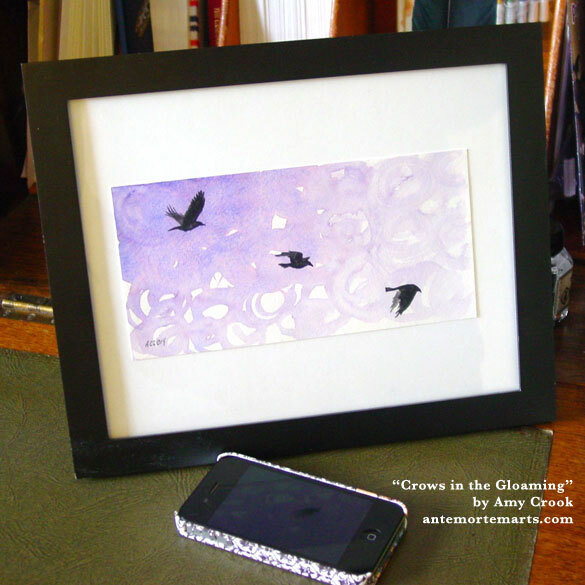 Crows in the Gloaming, 8″x4″ watercolor on Fluid watercolor paper. Above, you can see the upper left crow, with just a little granulated light shining off the feathers here and there. 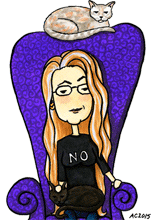 Below, you can see the piece in a temporary frame, with the closest color to the real thing. But still not right, dammit. 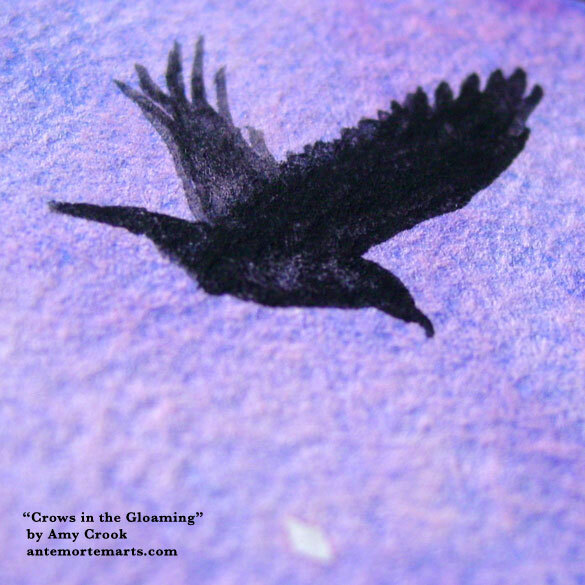 Crows in the Gloaming will be available for purchase in July’s Floating Gallery. You can get a chance to snag it early if you’re on my list.